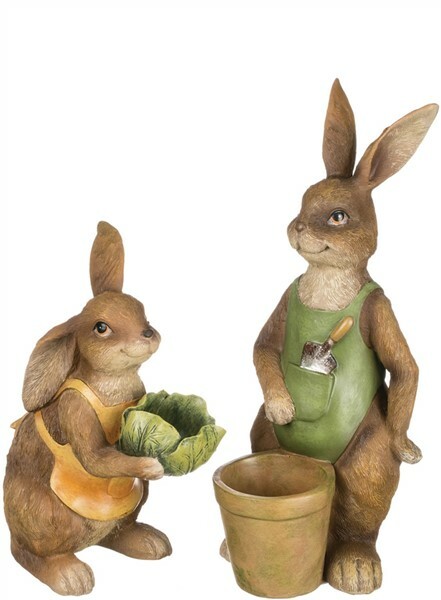 Darling gardening bunny pair! Mr Rabbit has a terra-cotta pot to fill and his spaid is in his apron pocket. Mrs Rabbit is holding a fresh picked cabbage to fill. He is approx 10" tall and she is approx 7", made of composite. They make a great gift for a garden loving friend and for Easter too.